Try ADVANCED SEARCH to refine or get more info. Lucas #9600 High Performance Roofing, Joint and Termination Sealant, BLACK Color. 100% Solids, 400% Elongation, 400 PSI Tensile, Fast Curing Hybrid Polyurethane. For Roof, Walls, Door, Windows, Siding. 10 oz Tube. Price/Tube. Lucas #9600 High Performance Roofing, Joint and Termination Sealant, GREY Color. 100% Solids, 400% Elongation, 400 PSI Tensile, Fast Curing Hybrid Polyurethane. For Roof, Walls, Door, Windows, Siding. 10 oz Tube. Price/Tube. Lucas #9600 High Performance Roofing, Joint and Termination Sealant, WHITE Color. 100% Solids, 400% Elongation, 400 PSI Tensile, Fast Curing Hybrid Polyurethane. For Roof, Walls, Door, Windows, Siding. Similar to NP1. 10 oz. Tube. Price/Tube. 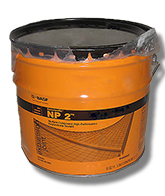 MasterSeal NP-2 Color Tintable Polyurethane Sealant (formerly Sonolastic NP 2). Factory Pretinted Limestone Color, 2-Part Kit. 3.0 Gallons (A+B) in 3.5G Pail. Price/Kit. PRIME ADHERE High-Performance Marine Grade Sealant. Multi-Purpose, Flexible, Waterproof, Paintable, Damp Application. Use when flexibility or adhesion are issues. CLEAR color. 10.5 oz/Tubes. 20 Tubes/Case. Price/Case.